Looking for the special ambience of a winery wedding? 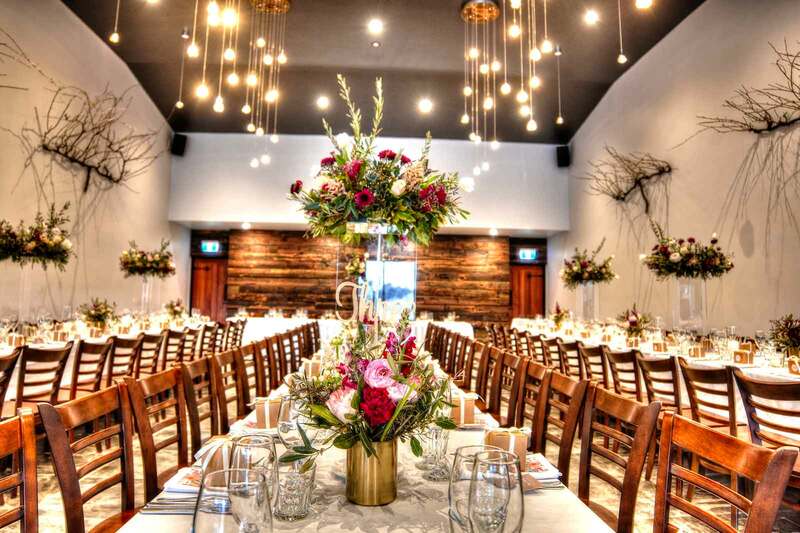 Choosing Ocean View Estate Winery & Restaurant means choosing tranquil, picturesque surroundings and a charming building custom-designed for weddings, with staff that really care and a chef who will design a truly superb menu. You will be surrounded by the romance of the vineyards and their seasonal changes. 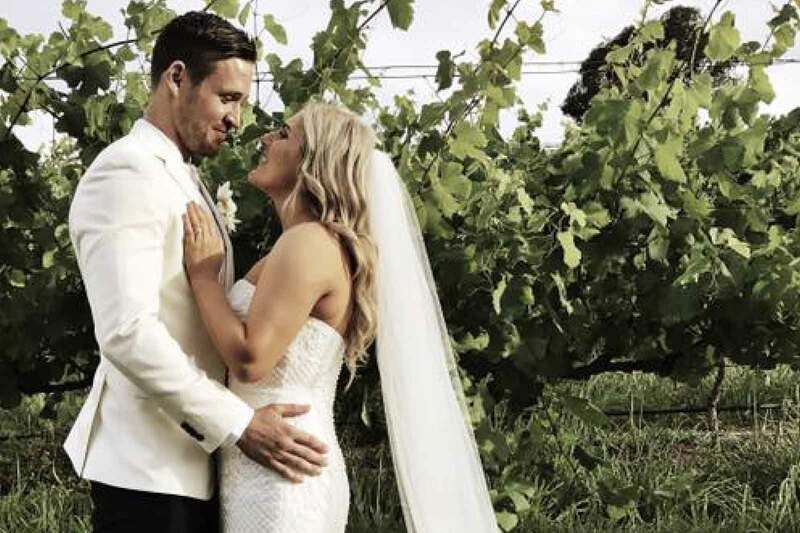 The gazebo on the lake provides a stunning backdrop for photos or the ceremony itself, and the vineyard cottages will give you or your guests the convenience and comfort of staying the night. 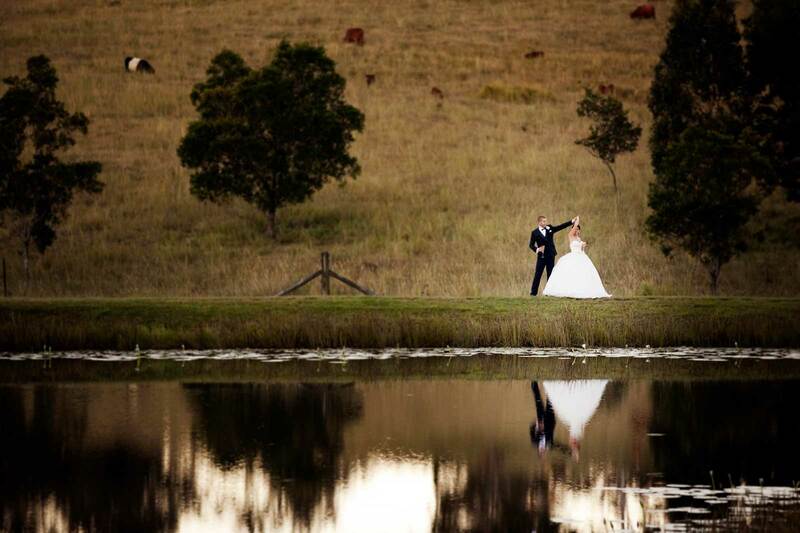 Only one wedding is allowed on site at any time, ensuring your memorable moments are only shared with your loved ones. 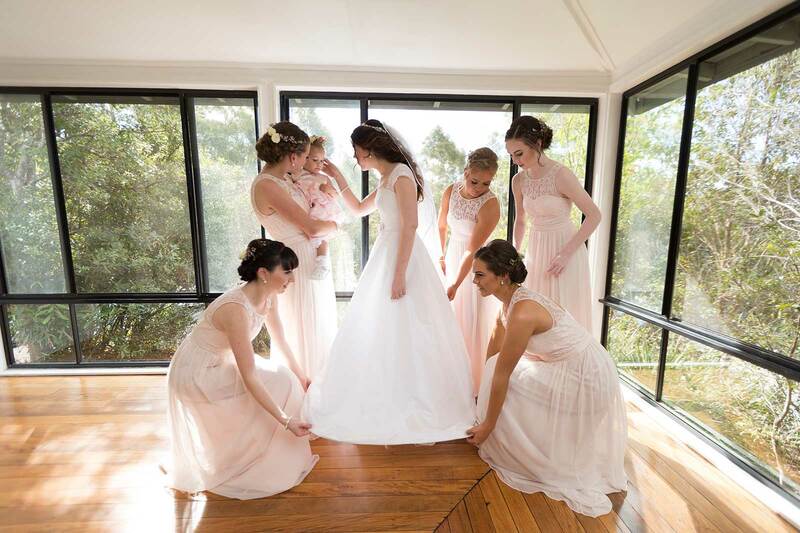 Contact wedding coordinators Danica or Kate to arrange a visit to this dreamy destination. One night’s accommodation in the Cabernet cottage for the couple. Upgrades available. Minimum booking numbers apply. Three beautiful onsite cottages, including a luxurious five-bedroom option, feature a spa and barbeque on the verandah, fireplace, air conditioning, and views over the vineyards and lake. Just up the road, a magnificently-restored Queenslander called Hilltop House is ideal for up to ten guests.